HCLA IPA contracts with a network of Federally Qualified Health Centers (FQHCs) and Community Health Centers (CHCs) that serve as the medical home to over 300,000 members. We are the largest IPA in California devoted to the underserved patient community, and care for more Medi-Cal beneficiaries than any other organization in Los Angeles County. Our IPA has been serving LA County providers and patients for over 25 years. 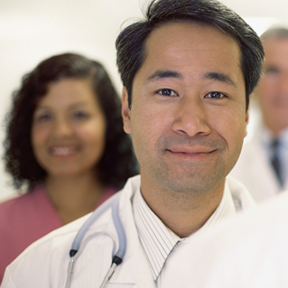 We help guide and anchor patient care with the community health centers they know and trust. HCLA IPA is consistently recognized by industry leaders, providers and members alike for our dedication to sustaining a safety net of quality healthcare providers for the patients who need it most. HCLA IPA contracts with most major managed care health plans serving Medi-Cal, Medicare Advantage, Covered California, Cal MediConnect and Commercial patients. Our range of health plan choices makes it easier for your patients and their families to stay within their chosen health center if their insurance ever changes. HCLA IPA is as diverse as the communities we serve. Our multi-lingual, multi-cultural network embraces all of Los Angeles County. 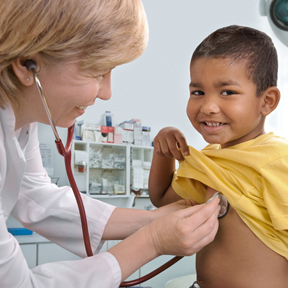 We’re committed to helping our health centers thrive for the long-term. By providing management resources, information on best practice opportunities and quality metrics tools and programs, we help our health centers provide quality care and patient experiences while building healthier communities. Our provider resource library brings helpful information, forms, plan updates and health education materials into easy reach. We offer contracts under most government and commercial plans and products, and work diligently to expand our plan offerings in order to provide the most competitive opportunities to physicians and patients alike. Are you are an FCQA, CHC or Rural Health Center in LA County interested in joining HCLA IPA network? Click here for our easy to follow application and instructions. For questions, or to follow-up on a previously submitted contracting application, please contact HCLA’s Executive Director, Iris Weil at iweil@healthcarela.org. Login here for access to resources and content exclusive to contracted providers.